Fat Quarter Shop's Jolly Jabber: A Fun, Fast Project! 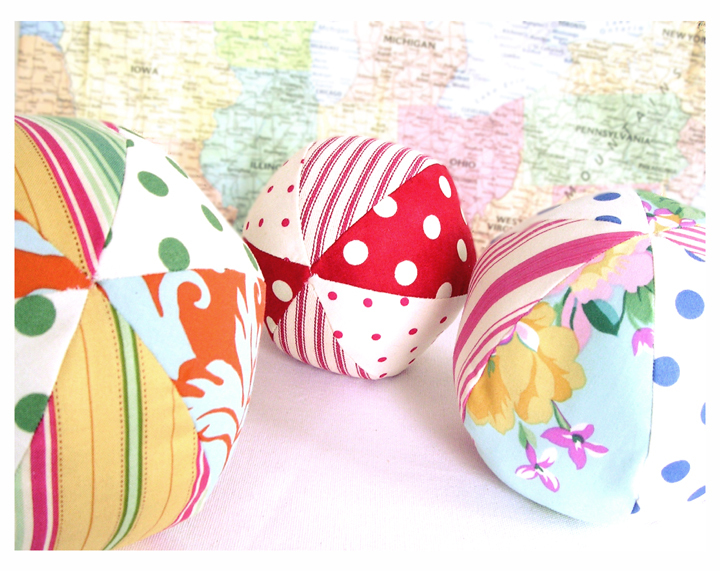 These fun sewn fabric balls by Barefoot Roses designer Tanya Whelan of Grand Revival make a great last minute holiday gift. They're a great way to use up fabric scraps, and the possibilities are endless! Toys, ornaments (just add a loop), and pincushions - and consider stuffing them with cotton batting or dried beans for a heavier ball. You can find the pattern on the right sidebar of Tanya's blog under "Free Patterns," here. Enjoy this fast, fun project. And a big thanks to Tanya, creative extraordinaire!